Having that stunning design for the home of your dreams can be fraught with frustration and despair when reality hits and you find out at quoting stage that you cannot afford it and need to go back to the drawing board. 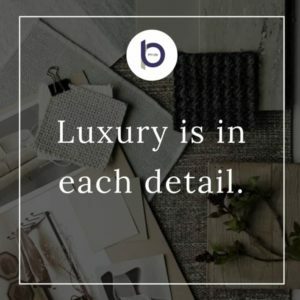 To help you nail your vision, Renovating Mums chatted to the team from Blueprint Builders in Sydney for their top 5 tips to meet your renovation budget and create your dream family home. Talk, meet and chat to builders before and / or at the same time as you speak with your draftsmen and architects. At the outset, try and identify all your potential costs and assign each a value to ensure you have a realistic budget to work with. Don’t try and guesstimate these costs. To manage expectation from plans-to-build, bring a builder on board to do a cost plan at concept stage. This will give you a more accurate estimate of the total build. Being realistic of what your money can get from the outset will avoid disappointment in the long run. Engaging a builder at planning stage gives more transparency over the actual costs to build, plus relationships are formed and expectations are set, and the roads are laid for your dream build to become a reality. Spend the time to create a clear, realistic picture of what you’re looking to accomplish with your renovation. 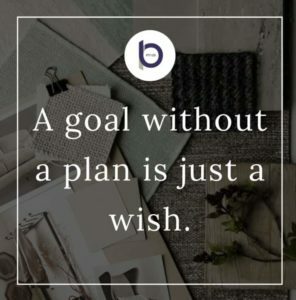 You may find the more you can tell your builders about what you want the final product to look like, the closer you’ll get to achieving your desired outcome, on budget and within the allotted time frame. Renovations and extensions are not always predictable so to engage a builder who can adapt, change and is solution driven is paramount to ensuing your project is a success. We are mums so the surprise and unexpected is norm to us…however during a renovation it is better to be safe than sorry! Try to have a contingency of around 5-10% to give you enough wiggle room if any unexpected events arise. Make sure you’re constantly monitoring your renovation budget throughout the entire process and keeping track of your expenses. When you frequently account for what you’ve spent, it’s easier to see where you can make cuts if you’re going over-budget, or where you can splurge if you’re staying under-budget. Ask for reconciliation and updates from your builder. Request regular progress claims from your builder, i.e. every two weeks. This will assist with cash flow and keeps a close eye on the progress of the project. Your home doesn’t always need major changes to have a refresh. Listing things in order of importance will help you later when determining how much you can spend and which projects you’ll need to drop to avoid going over budget. Prioritise; you need to identify what is important for you and your family and adapt this within constraints of your budget. Have a project in mind? Blueprint Projects are extension and renovation experts. They are always ready to have chat and help you cost plan your project based on plans/sketches you may already have drawn and or approved. A collaborative chat at the beginning of a project between clients, architects and builders’ results in the best outcome for everyone. Happy renovating ladies…any questions please just reach out to the team at Blueprint Projects on hello@blueprintbuilders.com.au. 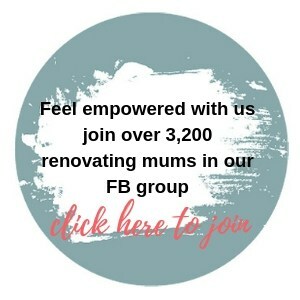 Don’t forget to also join the Renovating Mums FB community group for support from like-minded renovating mums and the opportunity to participate in the free ‘ask an expert’ evenings!